density results with an accuracy of up to 0.0002 g/cm3. 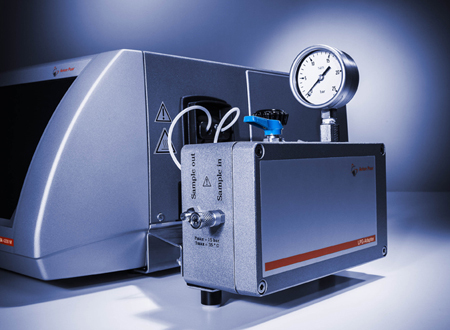 The new Temperfect™ feature of DMA™ 4200 M allows immediate density measurements at any temperature between 0 °C and 150 °C at ambient pressure. DMA™ 4200 M improves, accelerates, and simplifies density measurement of heavy petroleum samples. The LPG-Adapter for DMA™ 4200 M acts as a link between your gas container and the DMA™ 4200 M density meter. You can couple your gas container to LPG-Adapter within seconds and without any tools.